Our school is at the centre of our community. Local businesses and people give us their support and are always very generous when we are fundraising for a school project. We have many visits from people in the community, including police officers, fire crew, farmers, historians, authors and musicians who tell us about themselves. We also have school ‘open events’ such as Art Weeks or Musical Productions when local organisations or individuals are invited attend. We also visit people and take part in community activities such as delivering gifts to households or restoring the village telephone box. We have a strong link with St Faith’s Church in Shellingford. Our Vicar visits the school weekly to lead collective worship and to provide pastoral support. The celebration of the four main Christian festivals of Harvest, Christmas, Easter, Pentecost, together with our school Leavers’ Service is also an important tradition of the school which is held in the Parish Church of St Faith’s. Members of the community are also invited join us at other significant times such as at our School Remembrance Service. We are a friendly school who look after each other and work together. The older children often act as ‘buddies’ for the younger children with ‘family group’ activities, in reading and playground games at lunchtimes. We also have an active School Council who regularly meet together to discuss and improve our school. We have a small team of staff who are dedicated in ensuring that the children receive the very best care and education. Our parents are welcoming and friendly to each other when they collect their children at the end of the school day. All parents are automatically members of FOSS, and our parent body is always very busy organizing support for the school in many different practical ways, including social events. Our governing body is made up of 16 governors, selected from staff, parents, and the local community, including church representatives. We currently operate four main committees: Curriculum; Resources; Admissions; Marketing and Communications. 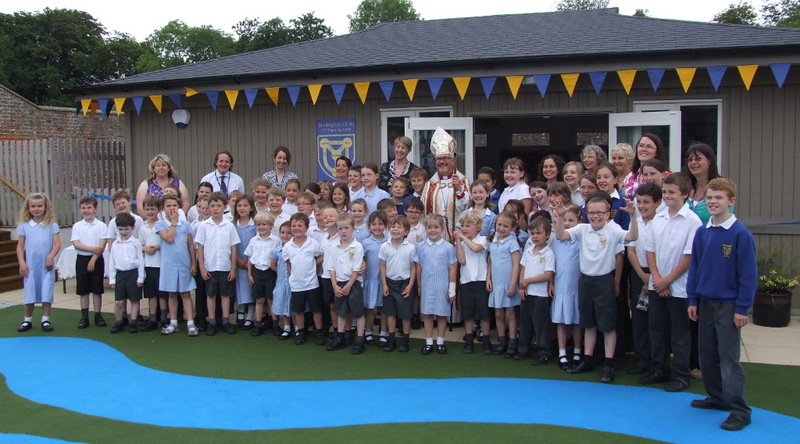 We welcome your active involvement in the life of the school, from governance to fundraising support with FOSS, and through working alongside the children during school.